Professor Shah’s research focuses on equity and implicit bias in STEM education. Although mathematics is often seen as “neutral” and “race-free,” Shah’s research shows that math classrooms are highly racialized spaces. Through classroom observations and student interviews, he studies how false racial narratives (e.g., “Asians are good at math”) affect classroom interaction and serve to position students as more or less capable of learning math. 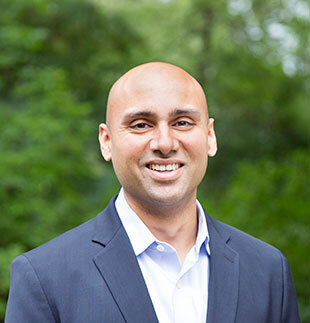 Shah, whose research has received funding from the National Science Foundation and National Academy of Education/Spencer Foundation, also studies how perceptions of status affect student learning in elementary computer science. Currently, he is collaborating with STEM teachers to reflect on how implicit bias affects their students’ opportunities to learn. To support this work, Shah has co-developed an equity-focused classroom observation tool called EQUIP (Equity QUantified In Participation). Learn more about EQUIP at www.equip.ninja. A 2017 National Academy of Education/Spencer Postdoctoral Fellow, Shah’s work has been published in Teachers College Record, Human Development and the Compendium for Research in Mathematics Education. He is an executive board member for the American Educational Research Association’s Special Interest Group - Research in Mathematics Education. Read about EQUIP, an app developed by Professor Shah to empower teachers to build more equitable classrooms.